Social media has become an indispensable part of our lives. We use it to keep in contact with friends and family, and businesses have also realized the possibilities that it offers to generate leads. Social media is also used as a communication method in projects more and more. You might wonder why you should use social media in your project at all. After all, there’s email and telephone, and other tried communication methods already, why add more? The answer is easy: because that’s where your clients and team members are. Almost everyone has at least one social media profile that they use regularly. In project management, trust is one of the most important aspects when it comes to building a relationship between the project manager and external and internal stakeholders. As project teams are increasingly working from different geographical locations, it gets harder to keep a constant communication flow going. But it is vital to do so as only if you gain their trust will you also be able to get their buy-in. In this sense, social media is not just a way to communicate but also a way to promote your project. A project manager should know best that the key to success is comprehensive planning. Before you start posting on social media, you need to identify what you want to achieve by using social media, i.e. what your goals and objectives are, such as ‘promote project’ or ‘increase engagement rate of stakeholders’. Then you need to identify which platforms your audience uses. But don’t just post everywhere, you need to make sure that you use the right platform for your service or product. For example, a retailer would do well to post on image-heavy sites such as Pinterest and Instagram, whereas a software vendor is probably better off on Twitter and LinkedIn. That’s not to say that there are clear cut rules, you just need to find out which channel works best for you and your team. In social media, content is king. You can only increase your reputation if you offer content that people are interested in. Your content must create value for them. That can be ‘entertainment’, but in the project context the value is probably ‘information’. Use social media to keep your team and clients updated on the status of your projects. Post about news that are relevant to the project, for example legislation changes or articles that fit thematically, or ones about what others in the industry are doing. You can also use social media to get feedback and reviews from your team members and clients or share your experience that you have gained during the course of the project. The emphasis of ‘social media’ is on social. So there needs to be some kind of interaction for it to work. You need to engage with people and keep the conversation going if you want them to embrace this communication method. Only then will you be able to keep their interest. For clients, it means that they feel like they are involved in the project throughout its implementation. For teams, it means that they feel like you take notice of their opinions and concerns. 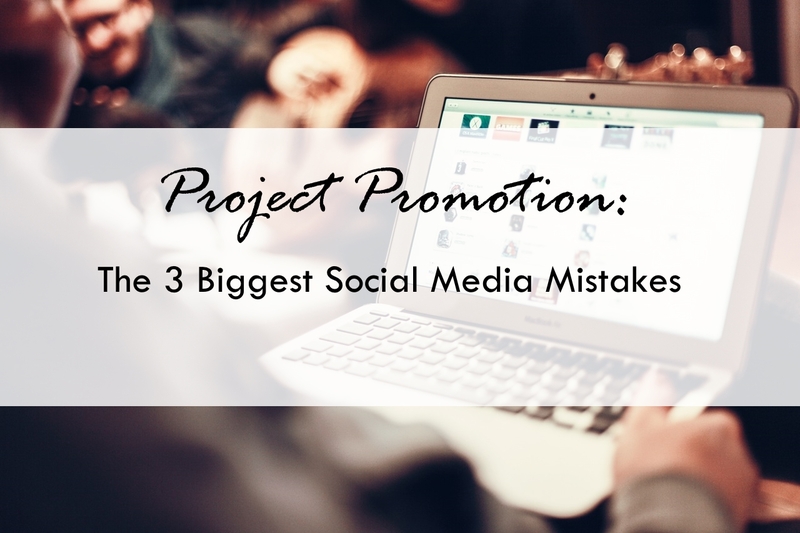 Project Promotion: The 3 Biggest Social Media Mistakes - InLoox • Copyright 1999-2019 © InLoox, Inc. All rights reserved.